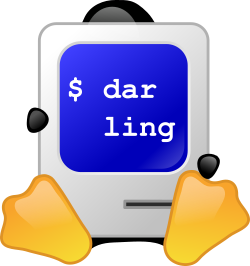 Darling is a translation layer that allows you to run unmodified macOS binaries on Linux. In its nature, it is similar to the well-known Wine project. At this point, does not yet run macOS application with a GUI. For more information, review the Project Status. Developers are always welcome to join the project - take a look at Low Hanging Fruit.